Okay, so I’m not leaving today, but soon enough! 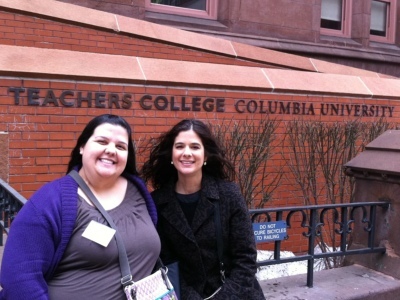 Next week, I’ll be at Columbia University for the Summer Writing Institute hosted by the Teachers College Reading and Writing Project. I’m so excited – this will be my sixth TC institute, and I have no doubt I will leave just as inspired as I have every time before. Every single minute of the day will be packed with opportunities to refine my craft, and the evenings will be spent exploring the big city that has been calling my name since my very first visit. I can’t put my finger on one specific reason my small-town heart longs to live in New York City….the brilliant minds, the bright lights, the Broadway shows – could be any of those. I do know, however, that next week will be an opportunity to grow in so many ways, and I can’t wait! If you asked me to name the most common request I get from visitors to julieballew.com, I could do so without a bit of hesitation. Minilessons. At least once a day, I get an email asking for more specific lessons to go with the charts I’ve posted. I am fortunate to work in a school district with a robust, thoughtful curriculum, but unfortunately, I don’t have permission to share the curriculum documents with the world wide web. I can however, share lessons that I’ve taught based on that curriculum. Last year, we focused on scripting minilessons. We didn’t ask teachers to script every single lesson, but many of them found that the lessons they scripted went MUCH better. To model this good habit, I began scripting any lesson I taught, whether it was for reading workshop, writing workshop, or a strategy group. Soon, I will add a new page to my site, where I’ll post some of those scripted minilessons. I’ll be sure to include the grade level in which I taught each lesson, but they are all adaptable for any grade level. I hope this is helpful for you. Let me know what you think, and I will add to it. Update (6/6/12): Minilessons are up! Click here to see them. For the 4th year in a row, Donalyn Miller has issued her summertime Book-a-Day Challenge. It’s as simple as it sounds – catch up on all the reading you meant to do during the school year by reading (an average of) one book every single day throughout the summer! Read more about it here and follow me on Twitter (@literatelife) to see what books I’m reading! 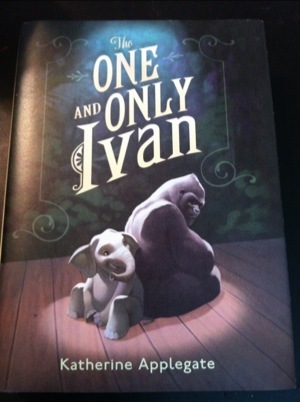 Today’s choice: The One and Only Ivan by Katherine Applegate. Ivan is an easy-going gorilla. Living at the Exit 8 Big Top Mall and Video Arcade, he has grown accustomed to humans watching him through the glass walls of his domain. He rarely misses his life in the jungle. In fact, he hardly ever thinks about it at all. Then he meets Ruby, a baby elephant taken from her family, and she makes Ivan see their home – and his own art – through new eyes. When Ruby arrives, change comes with her, and it’s up to Ivan to make it a change for the better. Katherine Applegate blends humor and poignancy to create Ivan’s unforgettable first-person narration in a story of friendship, art, and hope.